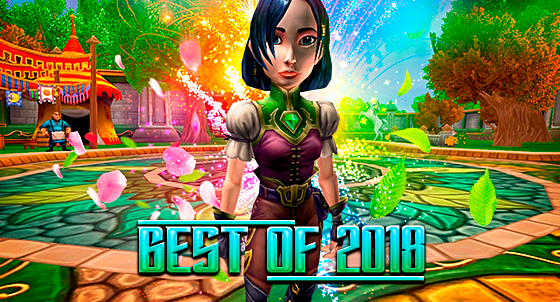 With another year coming to an end, it's time to look back on the many great things that happened in the Spiral in the last twelve months, so here's a rundown of the best things 2018 had to offer! 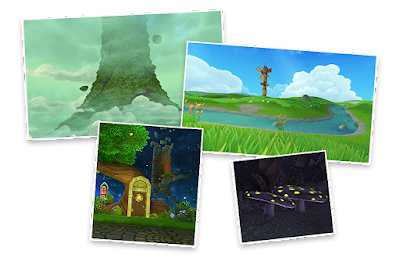 Wizard101 celebrated its 10th Anniversary and it was launched on the Steam platform, and the major updates include Wizard City's new graphics, the Hatchmaking System, and the conclusion of the third story arc with Empyrea Part 2. 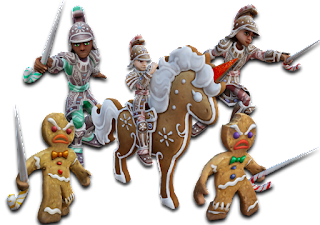 In Pirate101, the most exciting update was the one that launched Old Scratch's new promotion and Skeleton Key Bosses, the introduction of Member Benefits, new PvP weapons from Trusty Flint Locke, and two new Hidden Snowmen were added for the Holiday season! On a side note, new pre-paid cards are now available for both games. 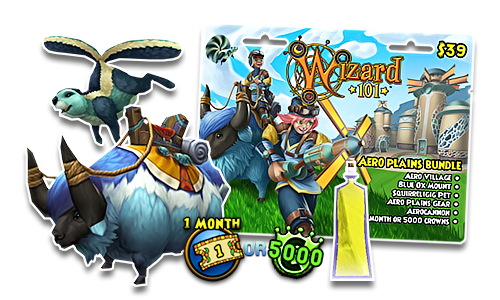 A total of 4 Wizard101 game cards were launched in 2018, which include the Battlemage Keep Bundle, Accursed Play Gauntlet, Great Detective Bundle and Aero Plains Bundle. Countless community events were held this year, which is always a fun way to bring the community together, and many more to come next year! I hope you all have a wonderful New Year and wish you the best for 2019! What were some of your favorite things in 2018? Leave a comment below and let me know! 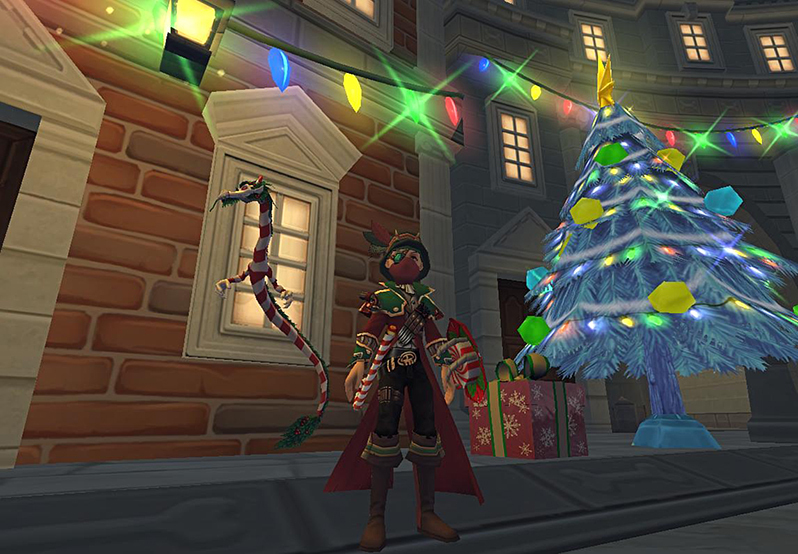 On the second day of the 12 Days of the Spiral, KingsIsle releases new Yuletide items in the Pirate101 and Wizard101 Crown Shops! 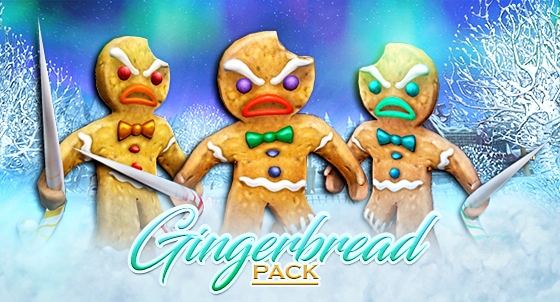 Now through Sunday, December 9th, you get one free Gingerbread Pack for every 2990 Crowns that you spend in the Crown Shop. 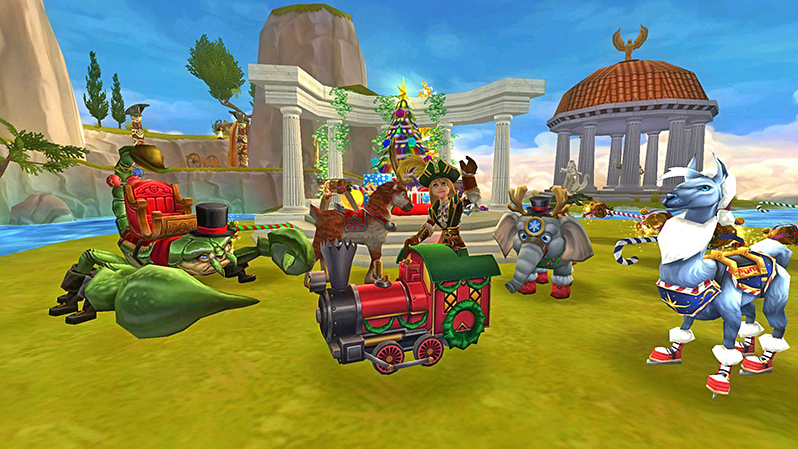 It's the perfect time to stock up on your favorite Yuletide packs, old and new! 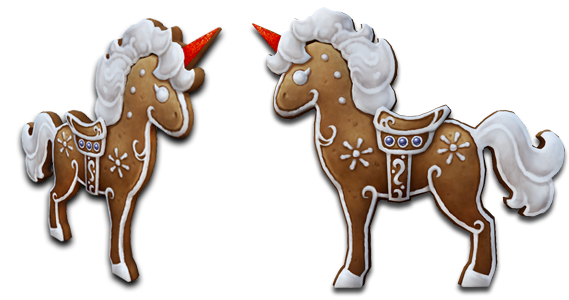 To participate in the Gingerbread Crowns Reward Weekend and track your Crowns spend progress, visit the Crown Shop in-game. Ride into battle on a sweet, new treat with the new Crumbles Gingerhorse mount! This delicious mount is available for 5,000 Crowns only during the Holiday season, so don't miss out! The Holiday season is all about giving back to those who mean a lot to us, and you surely do mean a lot to me. 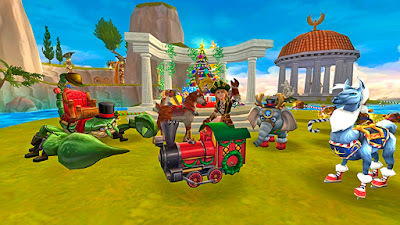 That's why I've decided to host an easy contest for everyone to participate, and requested special prizes for the winners that were generously supplied by KingsIsle. Take a screenshot in Pirate101 that best depicts your Holiday spirit in the game! 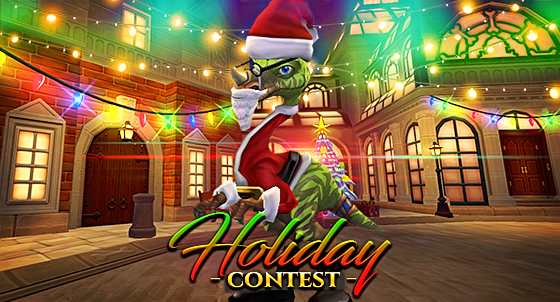 Send no more than one screenshot to [email protected], with the title "Holiday Contest", along with your Pirate's name (such as David Everhart) by December 13th, at 4:00PM CST. Winners will be announced on December 14th! Got any question about this contest? Leave a comment below and I'll reply as soon as possible! Happy Holidays, have fun and good luck to all! To promote the launch of Empyrea Part 2 earlier this month, a brand new Wizard101 game card is available in stores now: the Aero Plains Bundle! You can find this all-new game card at GameStop stores across the United States, for $39, or get your copy online through the GameStop website (be aware that this link may not be accessible outside the United States). 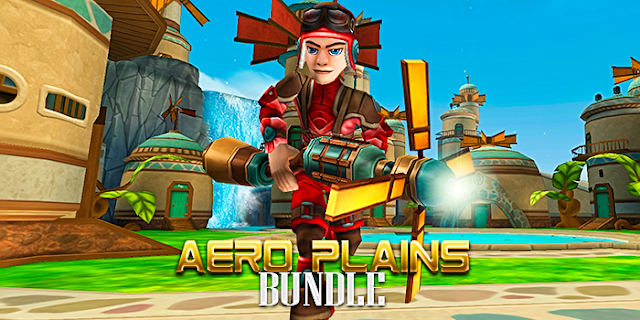 The Aero Village is a humongous and imposing Dwarf property that you can now call your home! Upong teleporting to this new house, the most striking characteristics you'll notice right away is how gorgeous and big the place is. Trust me, you'll eventually get lost! The entrance has a pond, where you can Fish. You'll get daily rewards by interacting with the hidden Wind Turbine. And just like previous bundles, this one comes with a private Arena that is accessible through the waterfall. If you've been questing in Empyrea Part 2, you're pretty much familiar with the Blue Ox Mount, which grants your Wizard the usual 40% speed boost. The Squirreligig Pet is a cute, flying squirrel that will follow you around, wherever you go! It gives an "Unstoppable" card at Baby, and has a starting pedigree of 71. 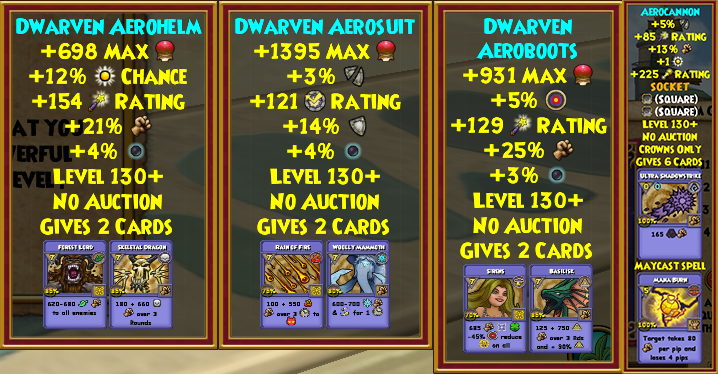 Just like most Crowns-only pets, it cannot be offered for Hatchmaking. 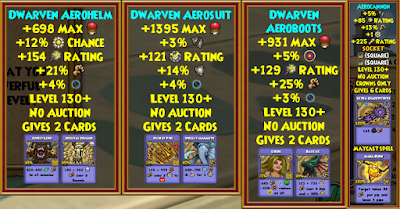 I'm not too fond of the Dwarven Aero Attire, that goes up to Level 130. The design is nice, but the stats aren't particularly good and a bit of a let down, honestly. While not spectacular either, the Aerocannon Wand grants your Wizard 5% universal pierce, 85 critical rating, 13% universal damage, 1 power pip, 225 pip conversion rating, two Square jewel sockets, 6 'Ultra Shadowstrike' cards and Maycast 'Mana Burn' at Level 130+, which might come in handy to stall your opponents in battle. Will you buy this game card? 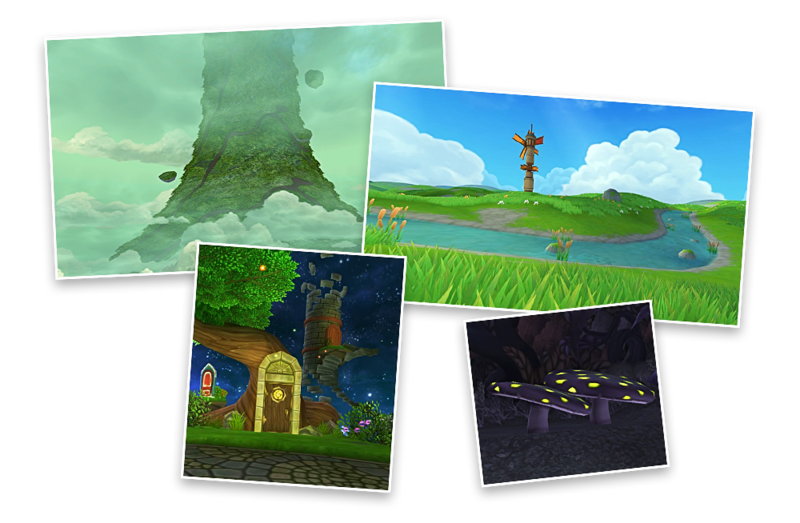 After a long wait, many of us have already completed Empyrea and the third storyline of Wizard101! As eager and enthusiastic fans, we always expect a world to amaze us, especially when it's the final world of an arc that lasted 3 years, and Empyrea has definitely set the bar so high in terms of quality, that it was hard not to be completely and utterly mesmerized from the first half! As far as I can recall, there hasn't been any other world that's had such a great diversity in terms of areas and environments! And this is precisely why we only get a world update a year with KingsIsle: quality over quantity. When they commit to something, they deliver! And with Empyrea Part 2 specifically, they produced quite the masterpiece. This cannot be stressed enough, but the quality is undoubtedly Empyrea's strongest asset. You'll be amazed simply by exploring the different areas of the expansion, most of which are breathtakingly stunning, and the epic music that will carry you all the way through to the end. The sound team did an incredible job with this one, taking it up a notch from what was produced for the first part of Empyrea! 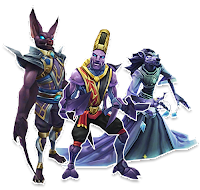 KingsIsle has brought back many iconic bosses and villains, and you can't help but feel nostalgic at times... From Morganthe to an unexpected rematch with Belloq and Jabberwock, Empyrea Part 2 is packed with pleasant surprises! 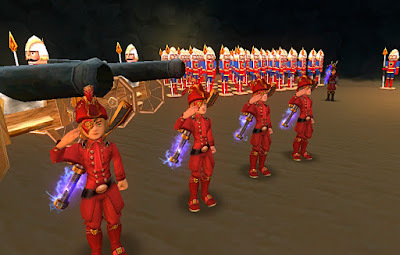 Fighting Headmaster Ambrose was probably one of the most requested things from the Wizard101 community in the last decade, and we finally get to test our skills against such a fearsome and powerful Wizard. And with the return of Old Cob's children, the fate of the Spiral has never looked more uncertain! Whether you like it or not, the new Whirlyburly minigame offers an alternative to questing and keeps you entertained after completing the storyline. It may take a few tries for you to get into it, but I was hooked from the very beginning. And the furniture and housing guests that you can buy after winning 10 matches are totally worth it! Yes, it certainly isn't for everyone, but it is another much-needed side activity. The difficulty of Empyrea Part 2 is similar to what we experienced in the first half, and it's exactly what you'd expect for high level Wizards. 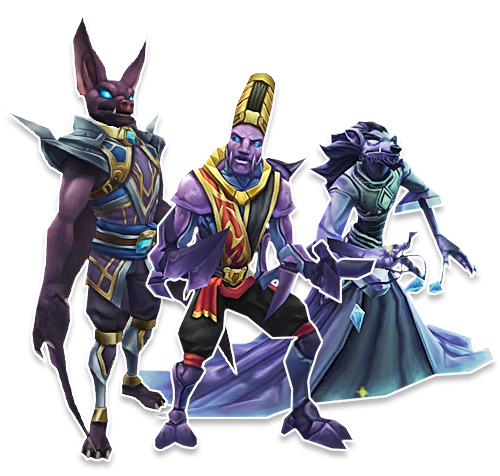 While you can probably solo most of the areas and dungeons without much trouble (Henchmen are especially useful here), there are tougher bosses that will require the assistance of your Wizard friends. The amount of tough fights early on can discourage you, if you're the kind of person that likes to do it solo. You'll find buying Henchmen is a viable option in tougher instances. Empyrea is filled with countless unexpected turn of events, with hilarious dialogs here and there to relieve the tension, leading to an epic finale. This latest update is combined with KingsIsle's best storytelling to date, making it one of the best Wizard101 expansions yet. 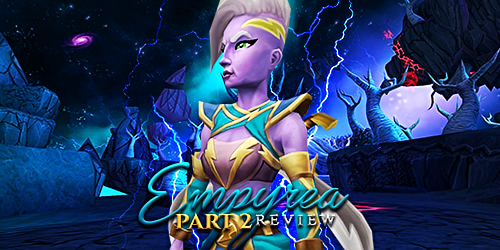 What did you think of Empyrea Part 2? Did you like it?